Hello, and welcome to my simple and neutral holiday kitchen! It’s been a fun holiday season of decorating for me, as I’m sticking to some (self-imposed) holiday decorating rules. Rule #2: Use metallics and texture. Rule #3: There must be lots of sparkle. In the kitchen, I really kept things simple. I love decorating my tiered tray for the seasons, and I’m using lots of fun pieces to fill ‘er up with holiday cheer. 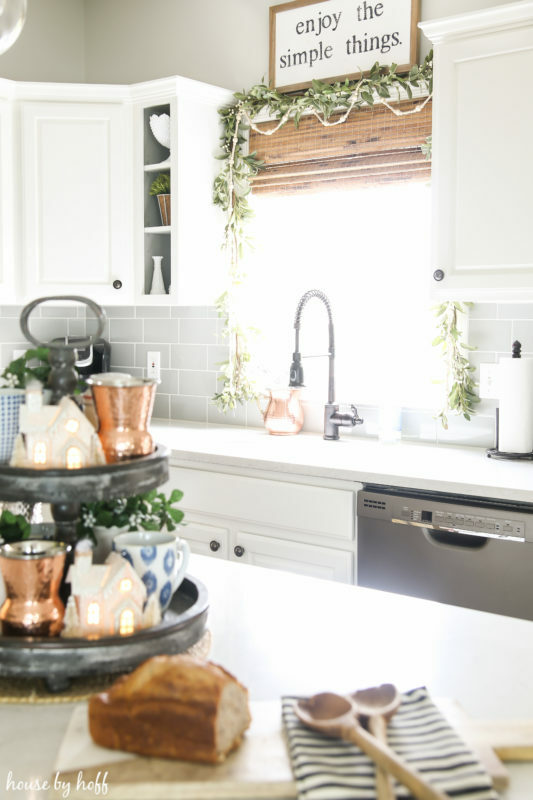 These fun Moscow Mule Mugs give my tray a metallic element, and these adorable White LED House Ornaments give me a nice little sparkle, am I right? 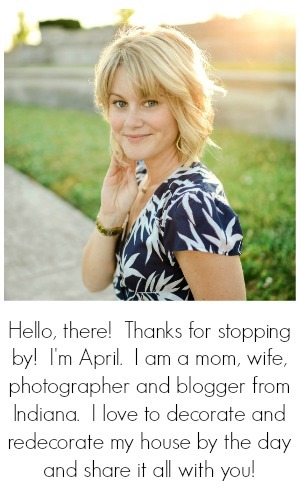 Today I’m part of a really fun holiday blog hop with some very talented bloggers hosted by Carrie from Lovely Etc. 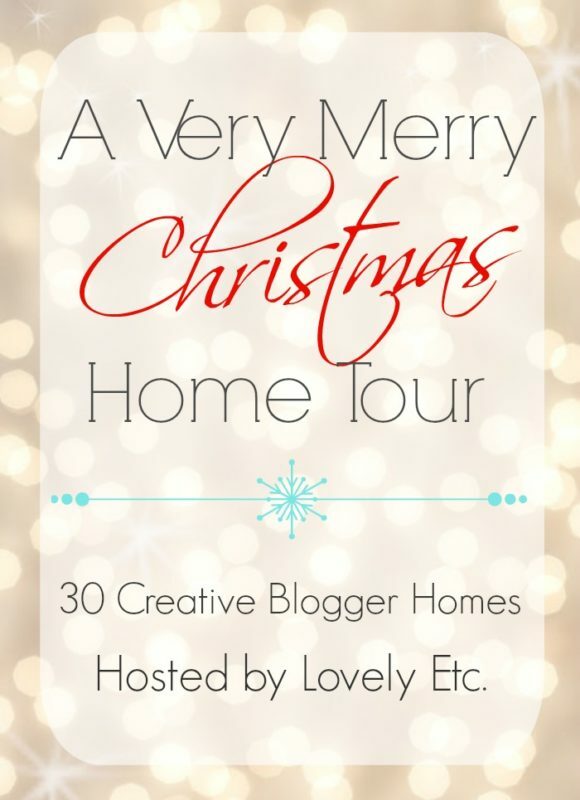 Be sure to take the Very Merry Christmas Home Tour! I love your little details! 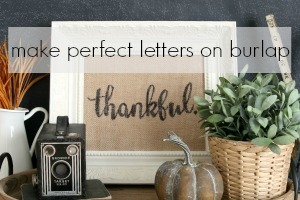 A tired tray is one of my favorites to decorate with for the seasons too! Cute! I LOVE the window area! I am totally with you on your rules about lots of sparkle. haha I crave bling in my home this time of year, Your kitchen is gorgeous, April. Yessss!!!! Bring the bling this year! Ha! Glad we’re on the same page, Erica! I like your rules! Simple natural touches with lots of sparkle. Just gorgeous! Super pretty! Love the window treatment and tiered tray. Everything is so elegant! Love your rules! 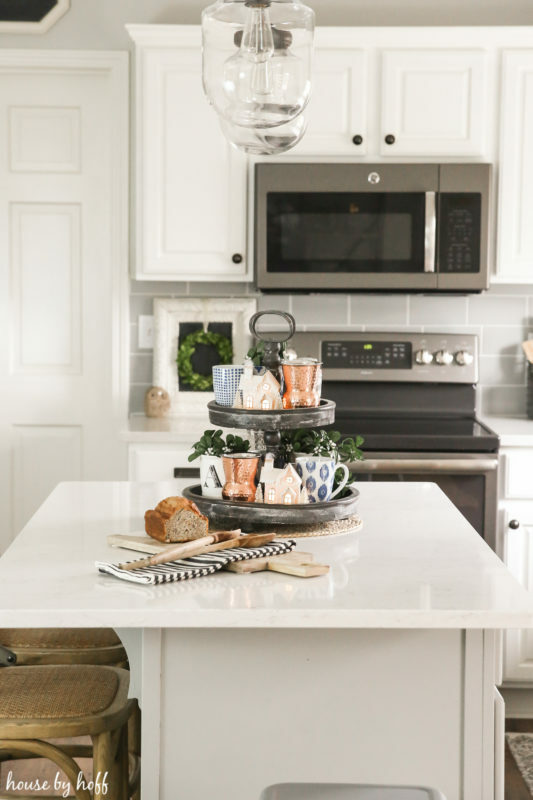 🙂 That tiered tray is adorable! 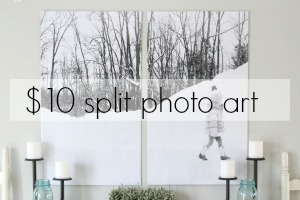 That tiered tray is such a fun thing to change out with the seasons–lovely! 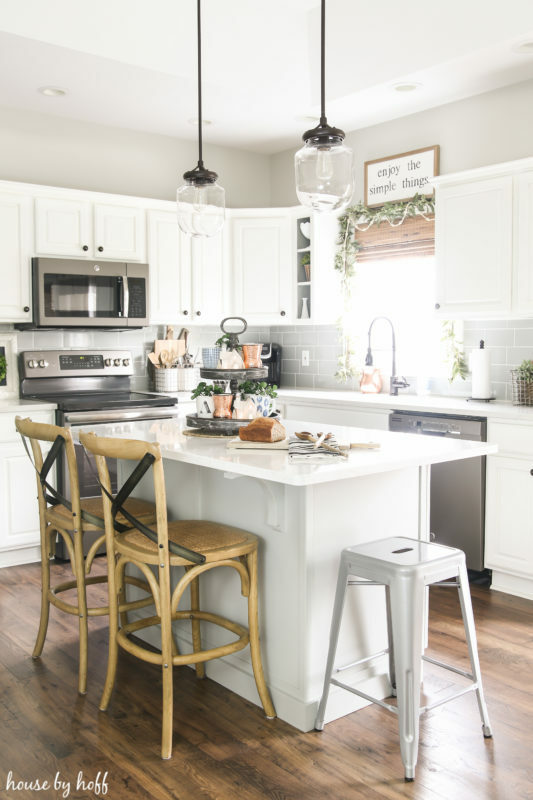 Your kitchen is beautiful, I especially like the garland duo! Happy Holidays friend! Your kitchen looks beautiful. I love the garland above the window – such a pretty combo. Beautiful April! 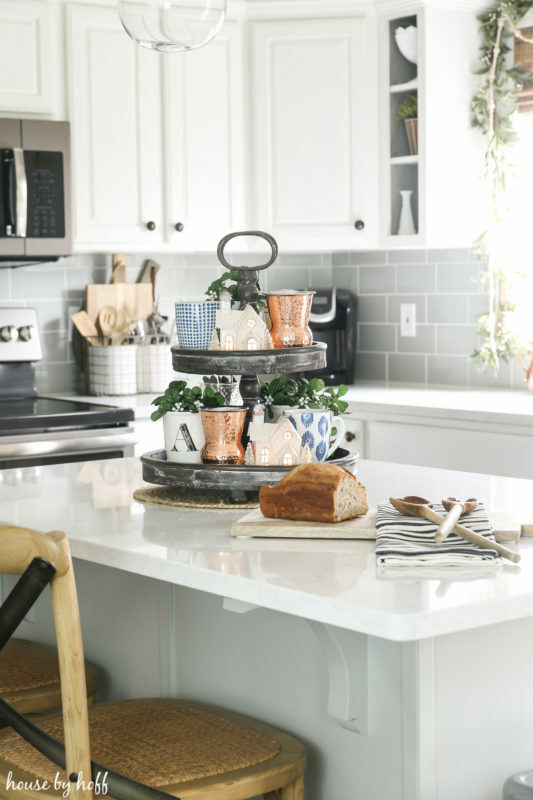 Love how you decorated your kitchen island with the tiered tray. Where did you buy your kitchen window treatments? Any details would be lovely! Thanks!